Florida temperatures and humidity are high rain or shine. 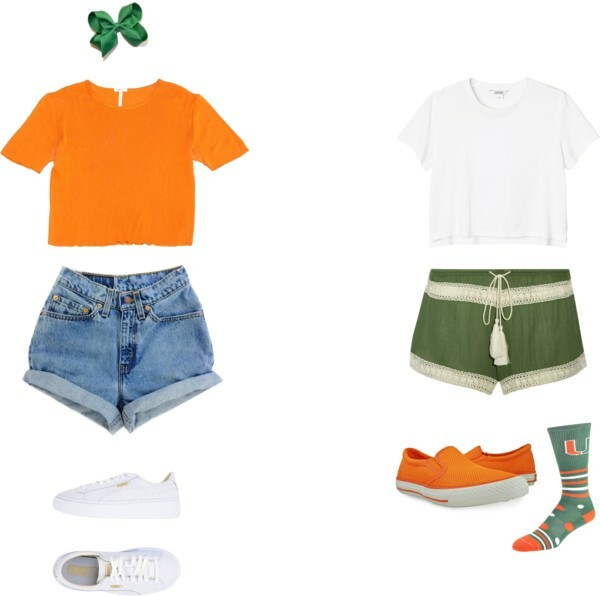 Whether you end up watching the intense football game from the stands or from the comfort of your home, support the Canes by sporting stylish green and orange ensembles. If Wonder Woman can save the world in a crown, tiny skirt and stilettos, you can definitely don them on game day. Pair a simple hunter green skirt with a silky orange shirt and strappy sandals for a feminine look. 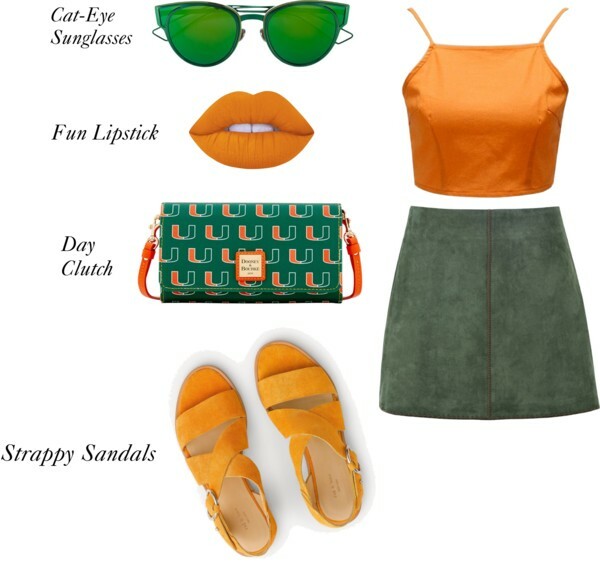 Rock a blunt orange lip and polarized green aviators to complete the look. Though not the most practical for the occasion, this look is undeniably the most fashion-forward. 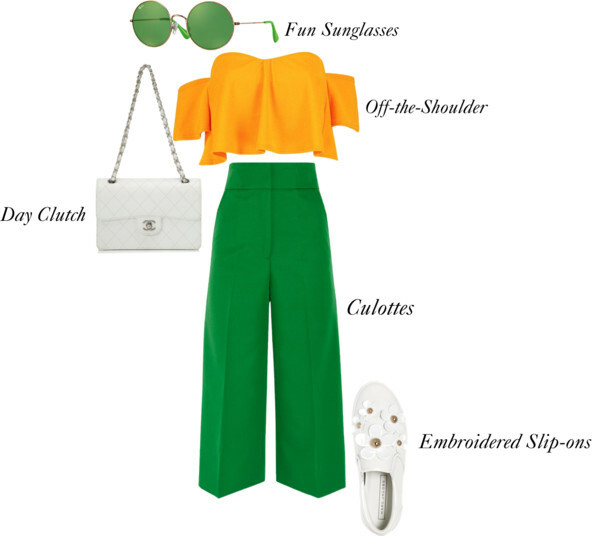 Bring the runway to life by pairing some of this year’s top trends, with an off-the-shoulder top, wide-legged culottes and embroidered slip-ons. Pair with an all-white clutch and green-lensed sunglasses for a polished look. Pair an orange raincoat with distressed black shorts and classic high top converse (that you don’t mind getting a little messy) for a chic yet waterproof outfit. 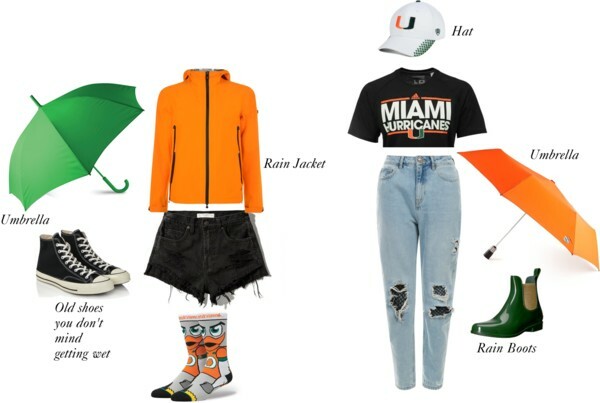 If the rain jacket seems a bit bulky, pair a vintage UM tee with ripped jeans, a hat, an umbrella and green rain boots. 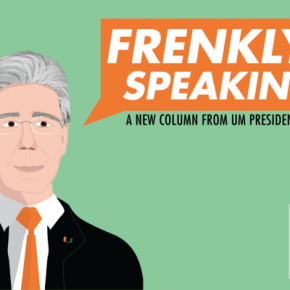 Be the ultimate Hurricane fan by piling on all the orange, green and UM gear you can find. Pair a Miami sports bra with a UM visor or hat and shorts for a sweat-proof look. 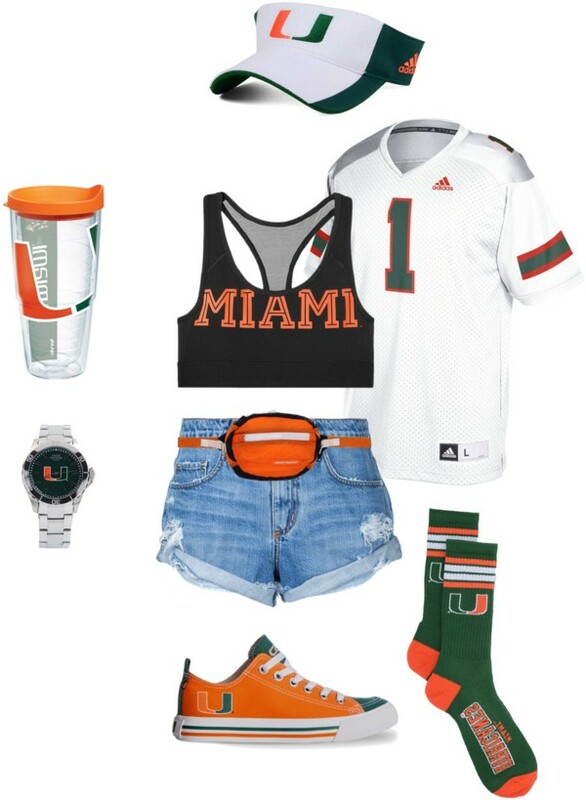 Try an oversized UM jersey to wear as a dress or over distressed shorts. Don’t forget the UM socks and fanny pack to finish it off. Put on those green shorts you have left over from St. Patrick’s day last year. Break out that one orange shirt you only wear in October, and go buy a pair of $8 socks from the school bookstore. Add some of your leftover green gift ribbon to your hair for a cute, festive touch.